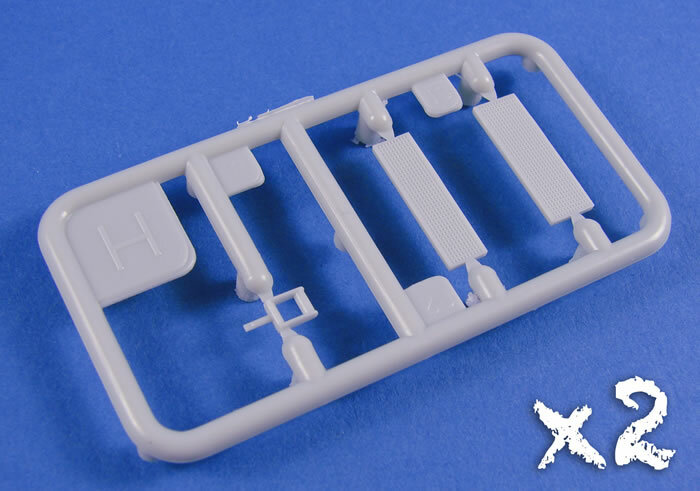 Contents and Media: 144 grey coloured plastic parts; 10 clear parts. 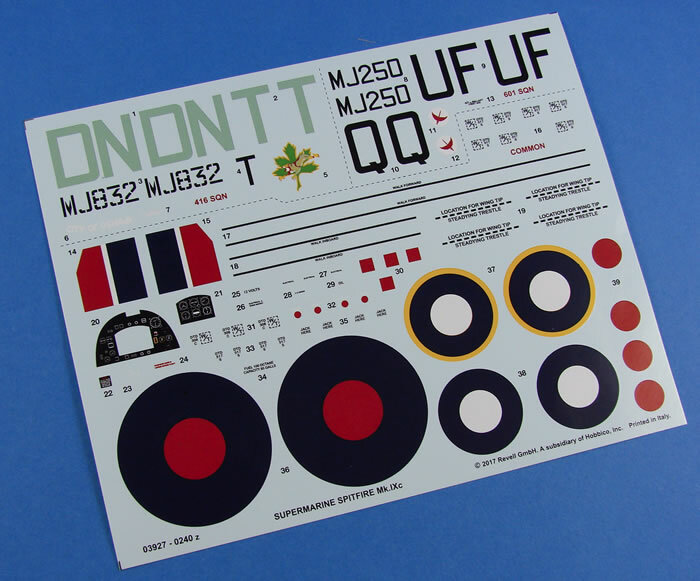 Single decal sheet with markings for two aircraft. 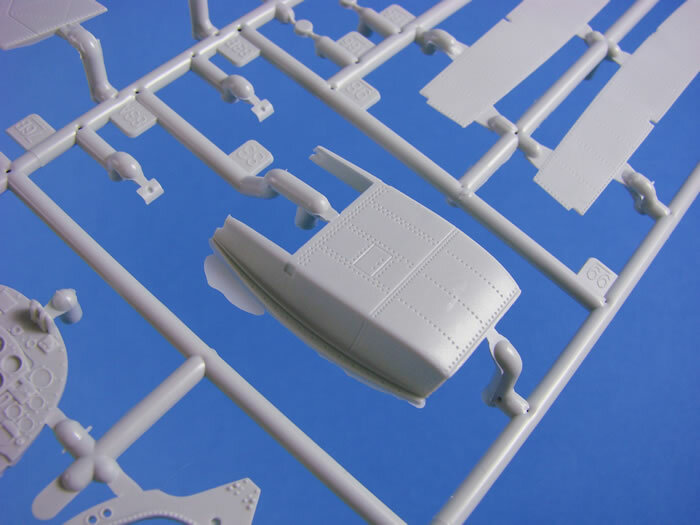 Advantages: Decent detail; accurate outline; great value for money. 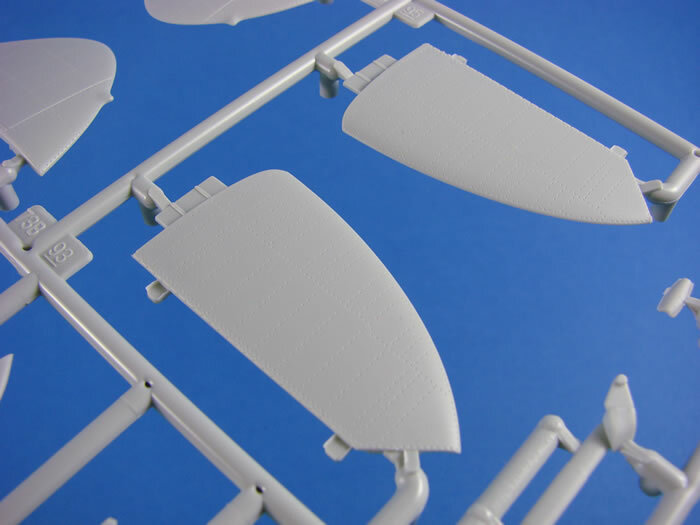 Disadvantages: Heavy surface textures, short-shot canopy; poor main wheels; a number of accuracy issues; flimsy box. 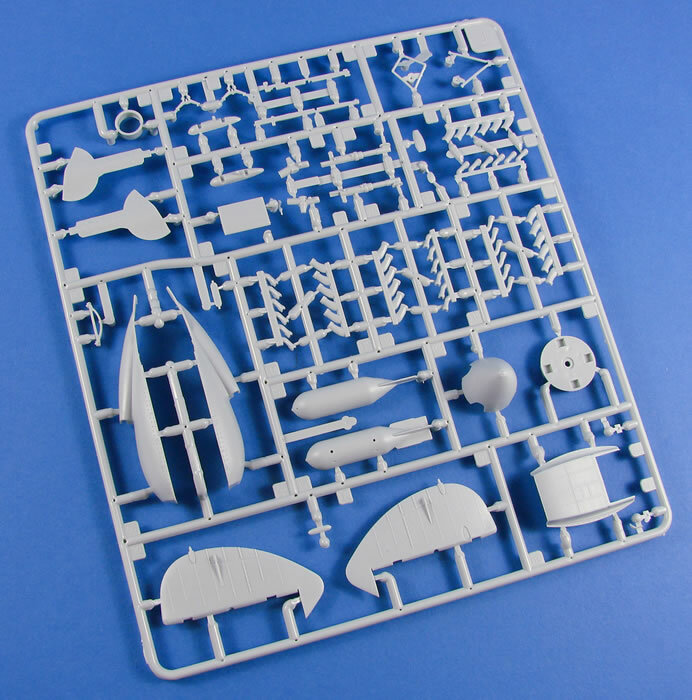 Recommendation: It’s a juggling act, but if you are happy to do some of the extra work yourself, or you simply want a nice looking Mk.IX out of the box, then this kit will more that suffice whilst providing some nice detail and what appears to be a model with accurate lines. 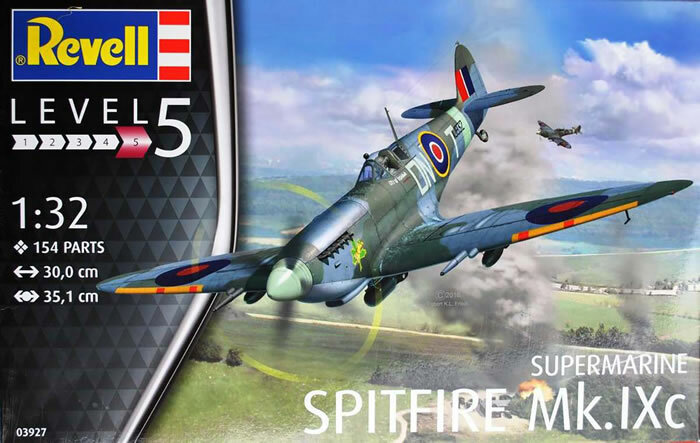 It’s been around three years now since Revell released their new-tool Spitfire Mk.IIa, and I’m quite surprised that they’ve left it this long to bring subsequent versions to market. 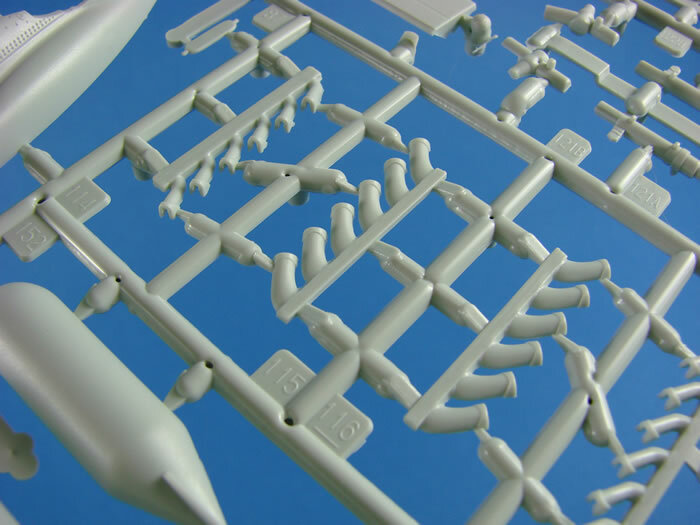 That surprise is even more manifest when you take a close look at the new sprues in this release. All of them carry the year ‘2014’ on them, so this model has been in gestation for quite a while now. 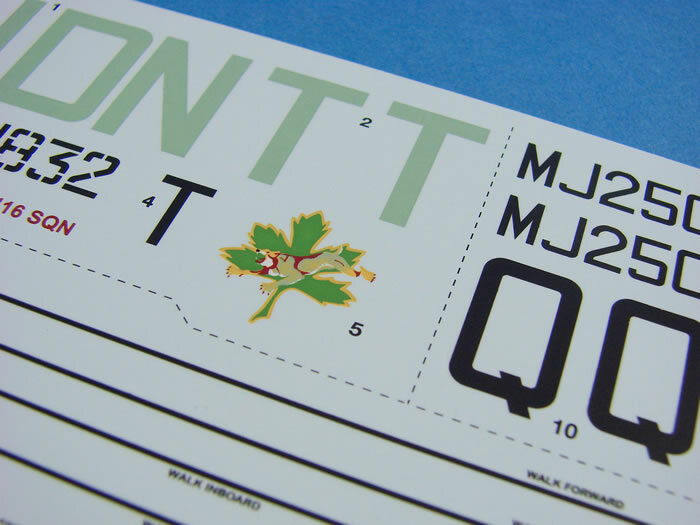 In fact, the Mk.IIa itself, released in 2014, also carries that date. 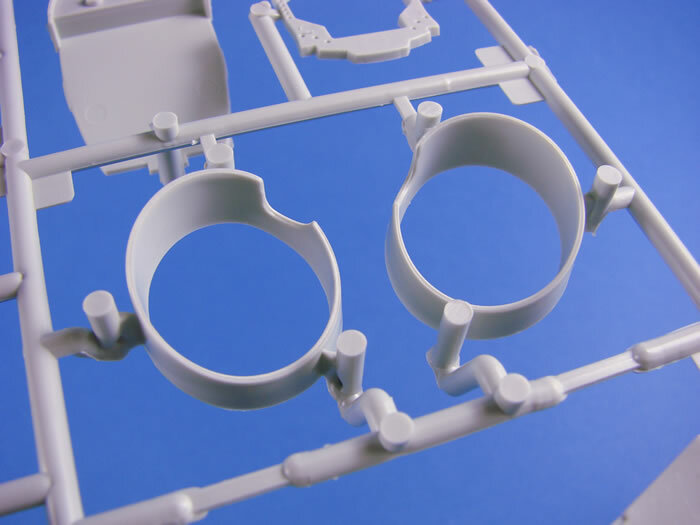 Revell’s new-look box is used here, but to the same flimsy design we’ve all come to know and love, and the sprues within are packaged as multiples within clear bags. 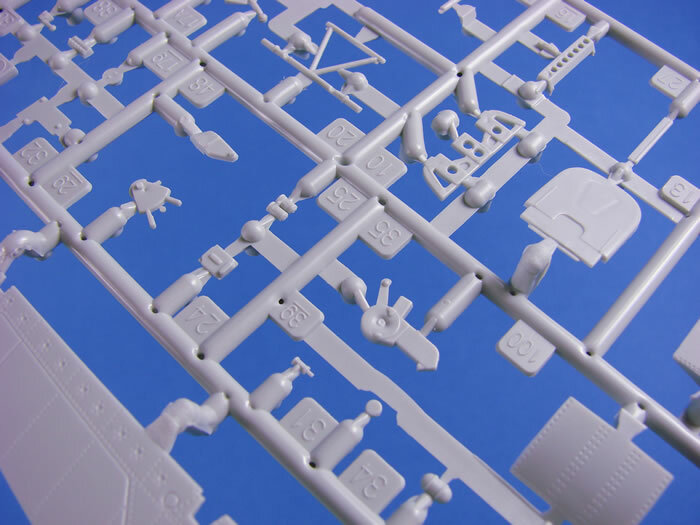 This isn’t something I like, as it risks the damage of parts. 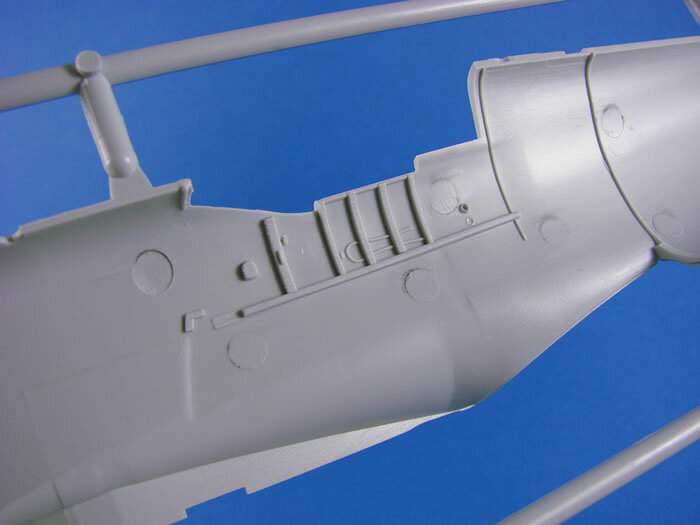 Looking around the fuselage exterior, Revell’s maniacal riveter has pretty much done the same job he/she did on the earlier Mk.IIa release, albeit this time, the Mk.IX did mainly have flushed rivets, dependent on where the machine was built. 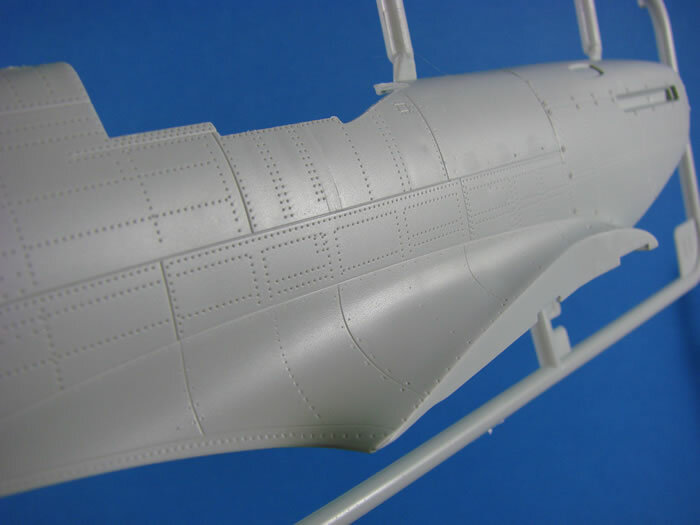 If domed rivets were used, this was generally on the aft fuselage, towards the rear of the cockpit area. You will of course need to check your references, as the old caveat goes. 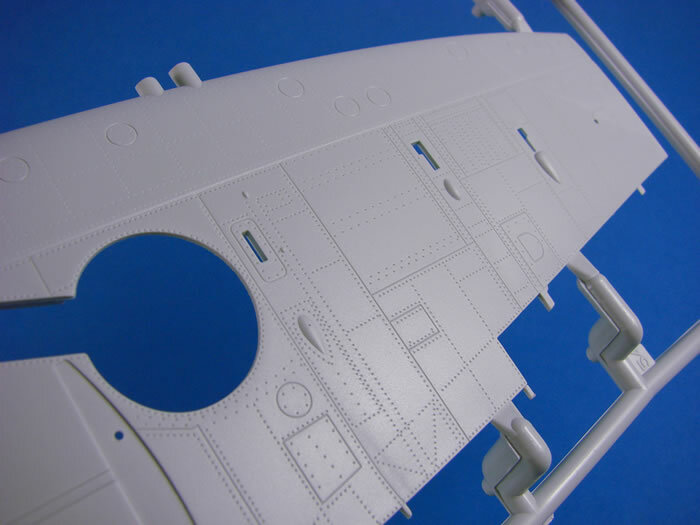 Either way, I do feel that what is given does need to be dialled back a little, perhaps with an airbrushing of Mr Surfacer and then the exterior being sanded back to plastic. Your mileage may vary and you may not be too bothered. 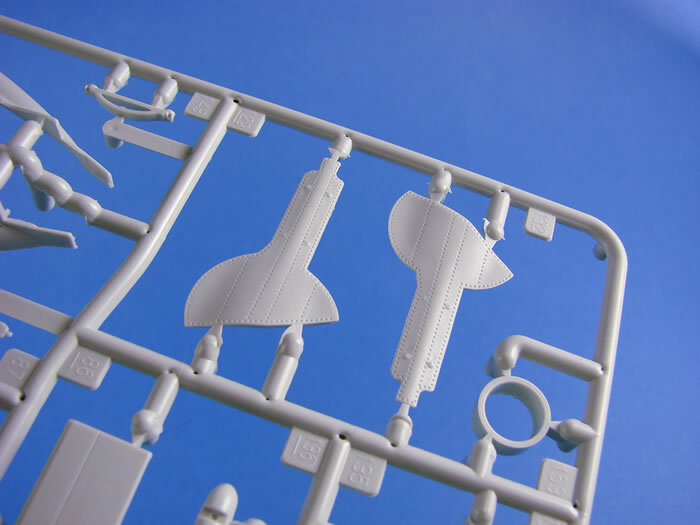 I don’t have the Mk.IIa kit to hand any longer, but I think this aspect of the model may not be quite as extreme as the earlier release. 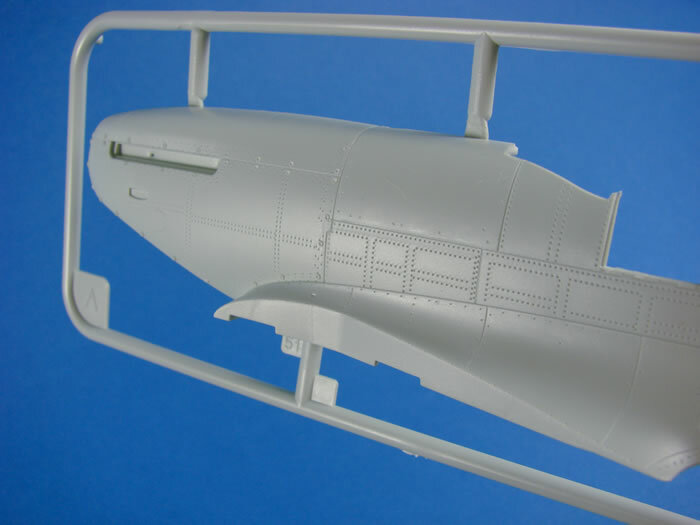 If you want to add raised rivets, then this is very easy with a product such as Archer raised rivet decals. 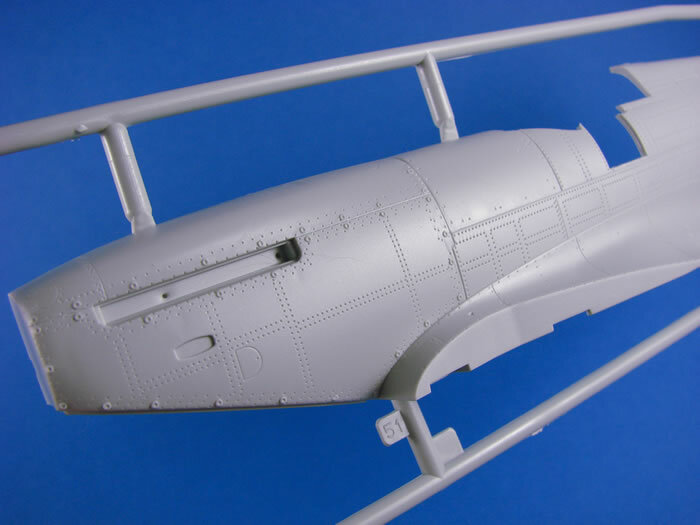 This is the same course of action I took for my Mk.IIa when I wrote the ADH/Doolittle title on building that kit. 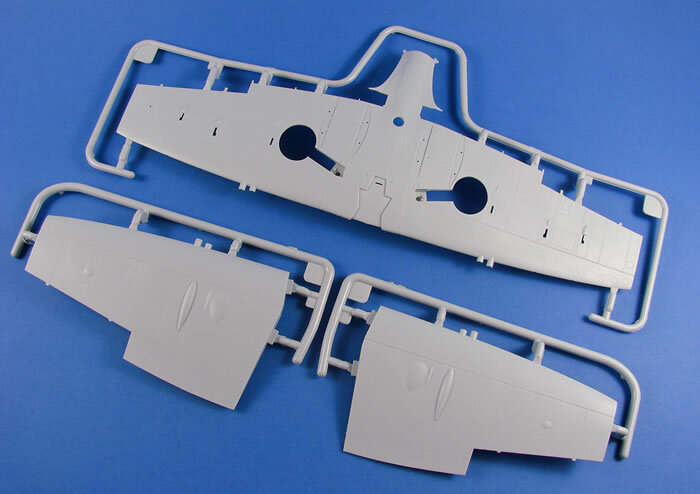 Of course, the fuselage halves are newly tooled as you would expect for a Mk.IX, and the rest of the exterior looks very nice indeed, with delicate panel lines, cowling fasteners and general outline. 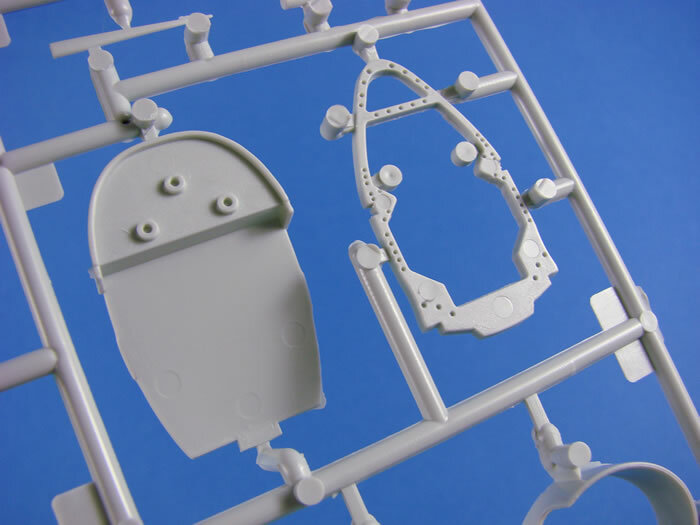 I have to say that it does look like a Mk.IX. Where I think things fall down a little is around the wingroot, where it doesn’t really have that deep, scalloped shape that I associate with this area, and against the light, it looks a little bumpy when looking from the rear, towards the front. 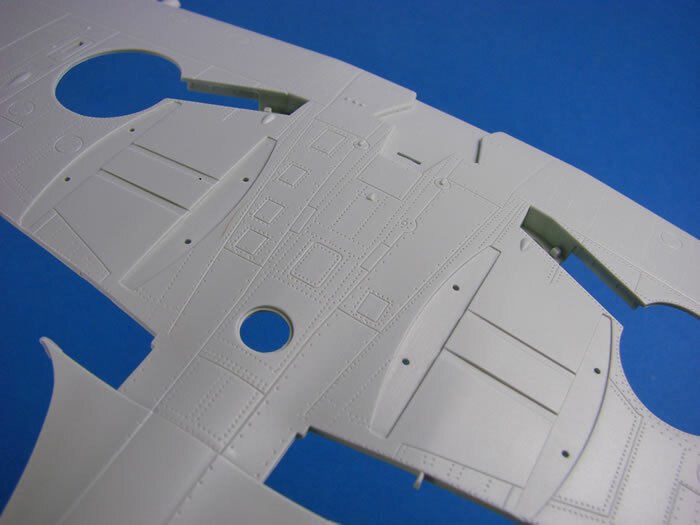 I also note a few sink marks here and there, but they should be easy to fettle. 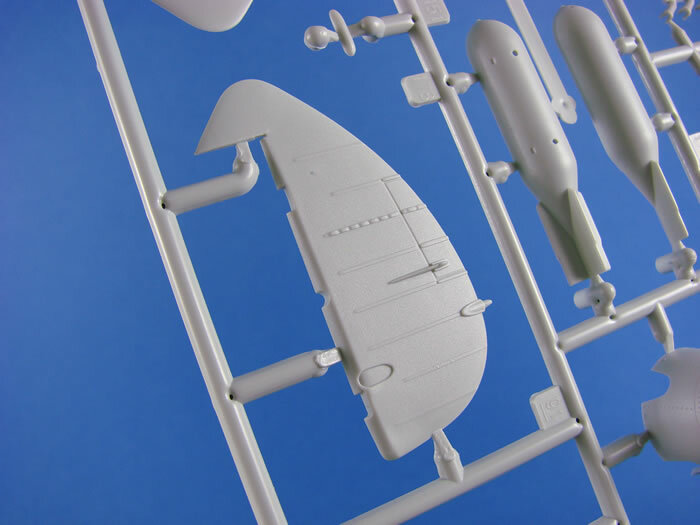 Internal fuselage wall detail is simple, with most detail being separate parts. 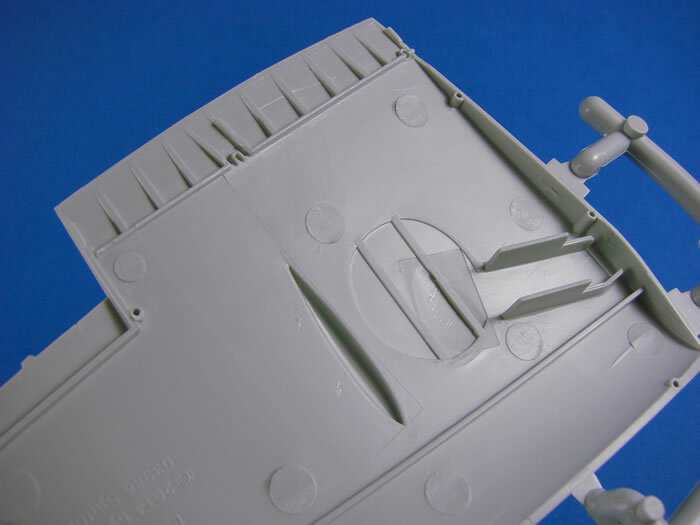 A couple of ejector pin marks reside in the rear cockpit area, and you will need to eradicate these. 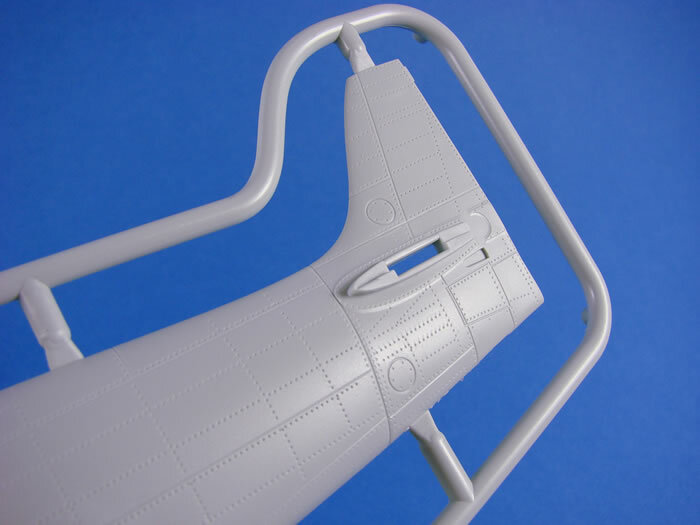 In common with the Mk.II, the radiator bases on the bottom of the wing are flat whereas they should be recessed with a ramp at the front and rear. 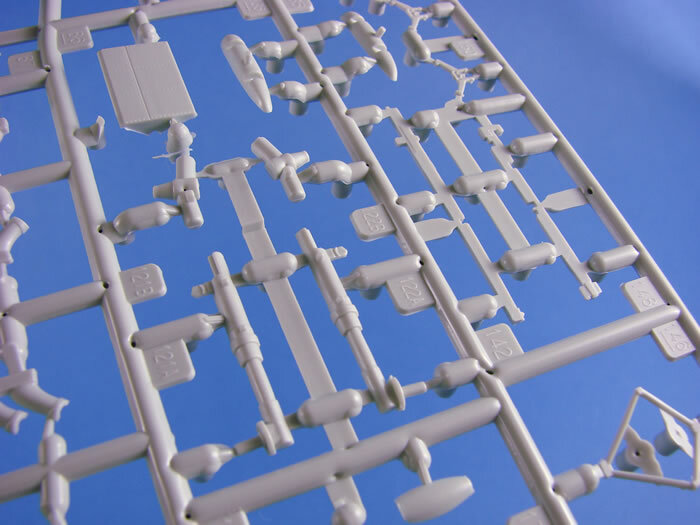 A small clear sleeve contains the last six small sprues. 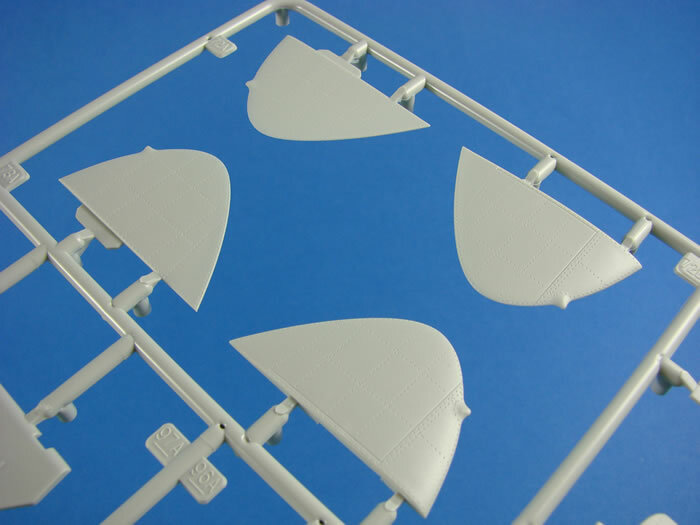 Two of these pertain to the wheels/tyres. 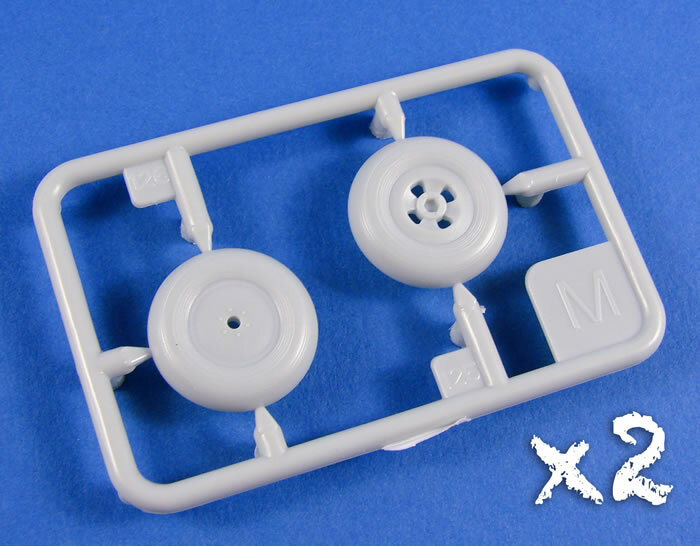 These are moulded with integral four-spoke hubs, and for my, the hub detail doesn’t look right when I compare them with the photos in my Monforton Spitfire book. The tyres also don’t carry any Dunlop writing, or size etc. They also aren’t weighted. I’m none too impressed with these, and I would seem some aftermarket parts. 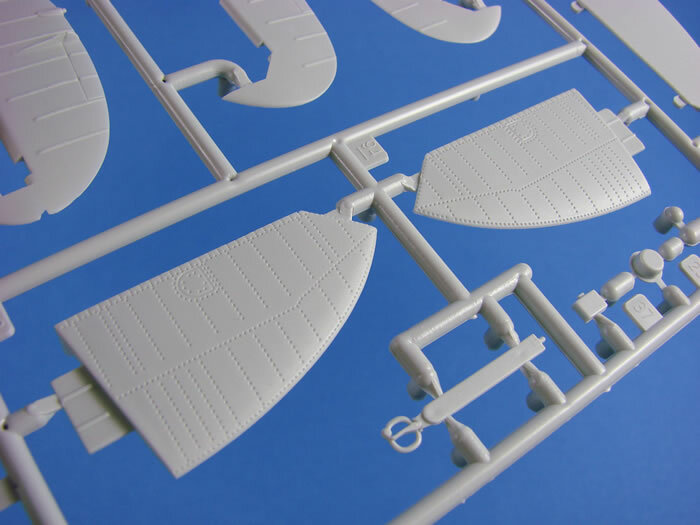 Two more sprues hold the parts for the underwing bombs and carriers, plus the new propeller blades for this release. 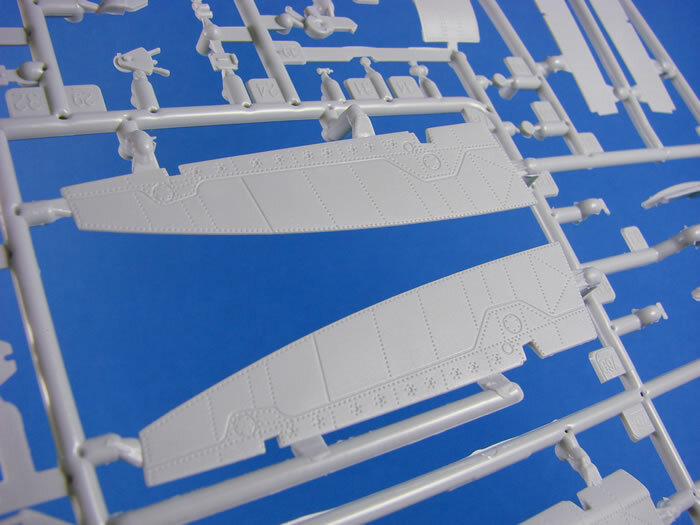 Shape-wise, they do look ok, but the tips seem to be clipped. 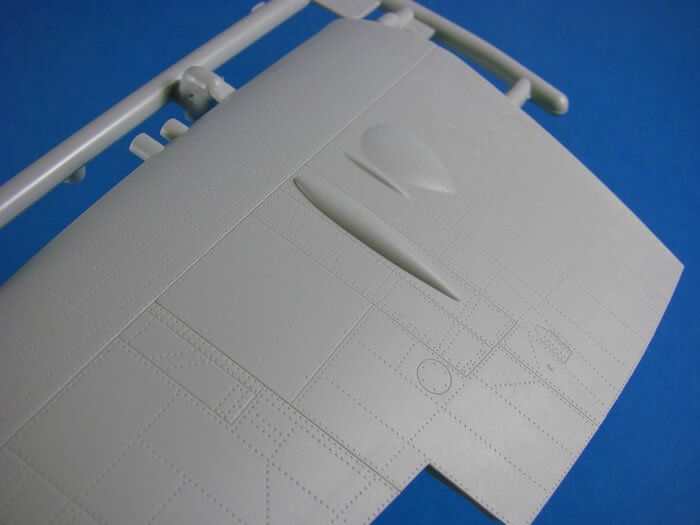 A couple of swipes with a sanding stick along the trailing edge should correct that though. 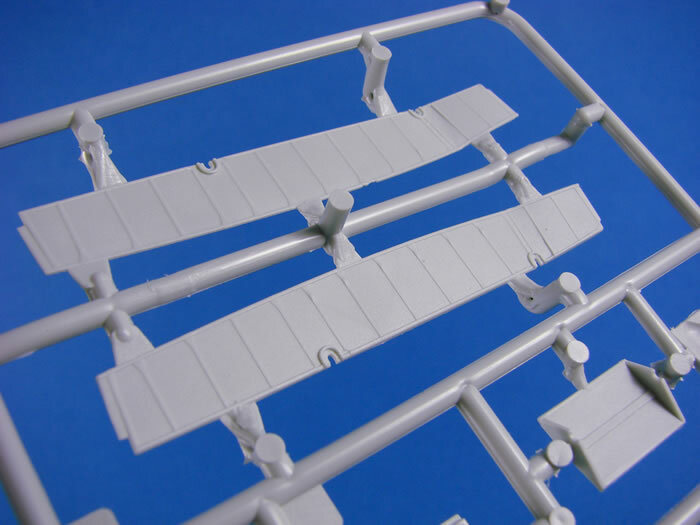 The last grey sprues contain the radiator interior grilles and the rudder pedals. 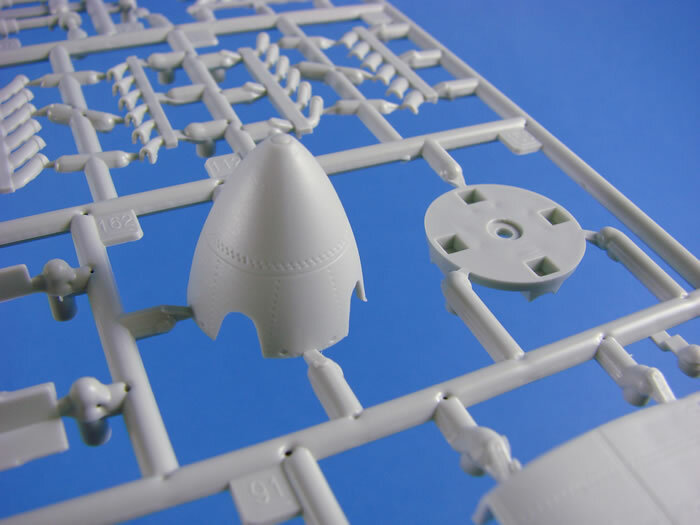 Now, when we complain of multiple sprues being packed into a single bag, it’s said for a reason. 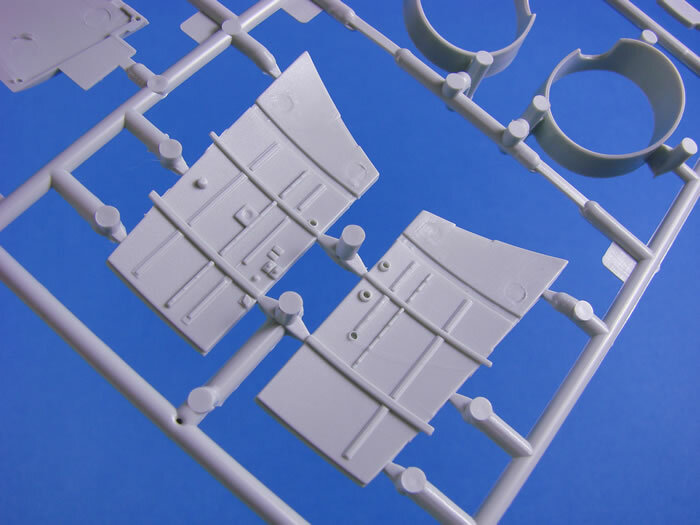 All three clear sprues suffer this, and in mine, some parts had come adrift, including the main hood. 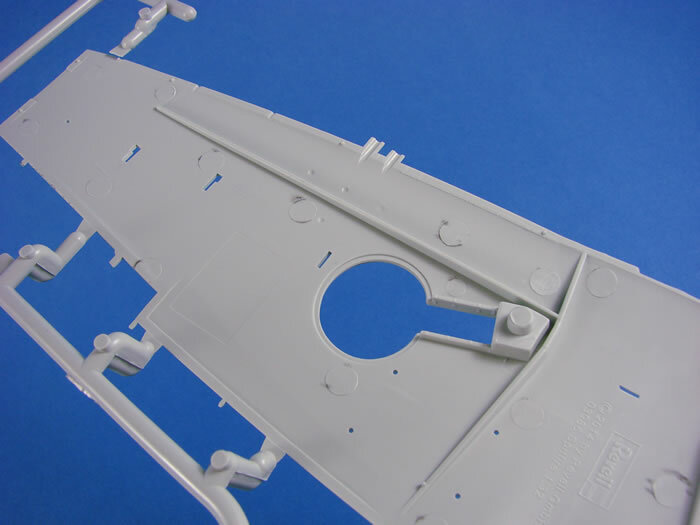 Some very light scuff marks will need to be removed from this before assembly. 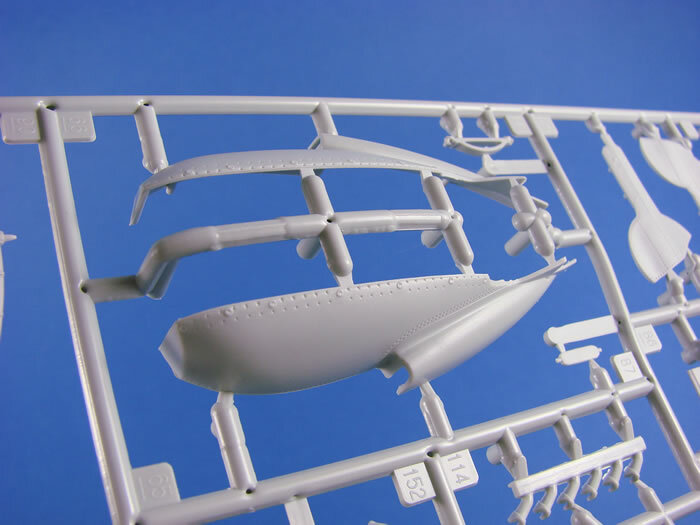 Out of the three clear sprues, two of these are new to this release. 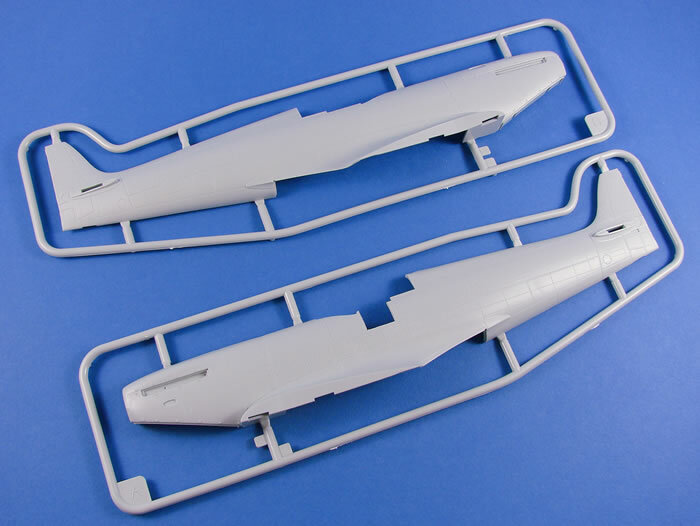 These include a revised windscreen and hood, clear wingtips for the clipped-wing version, and two gunsights, of which only one is slated for use in this release. 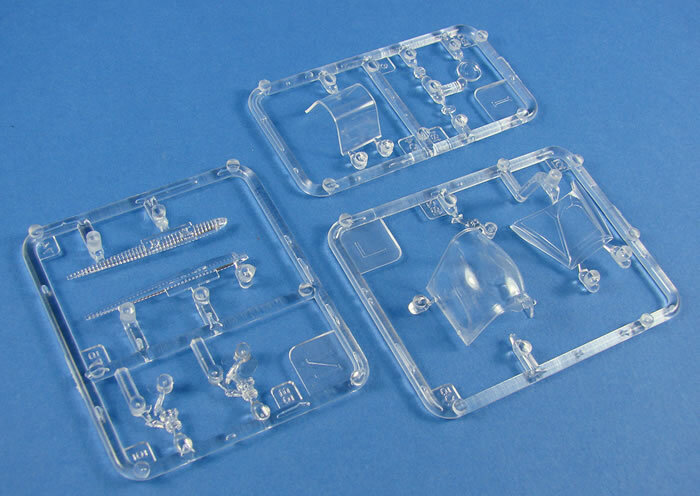 The clear parts themselves are superbly clear and also quite thin. 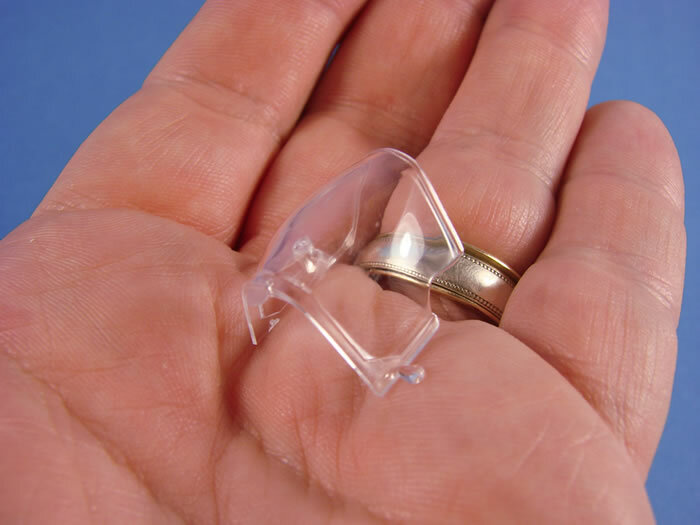 Unfortunately, the hood on my sample is a short-short and will need to be replaced. 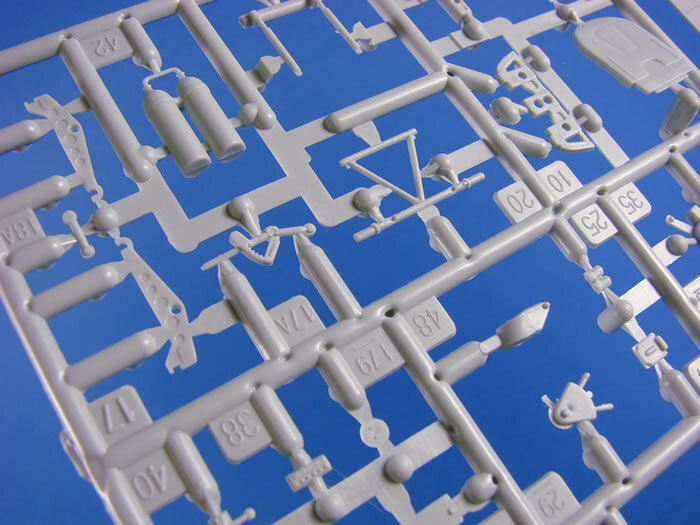 A single decal sheet, printed by Cartograf, is included here. 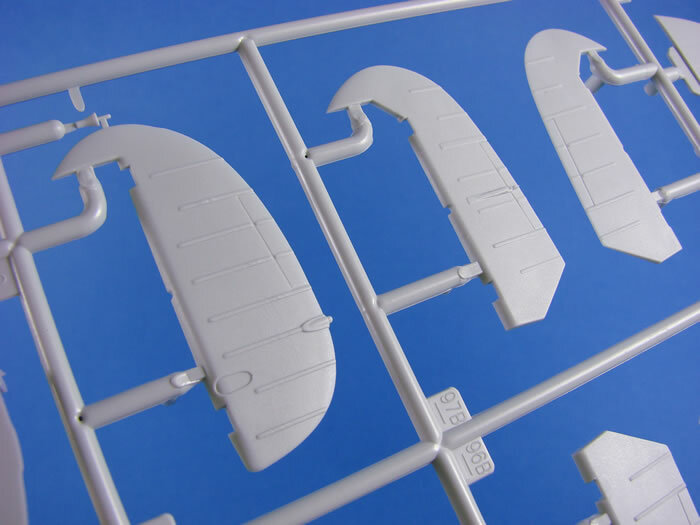 Being Revell, their remit seems to be for the decals to have a matt finish. I admit to preferring glossy decals, but we can’t have it all ways. 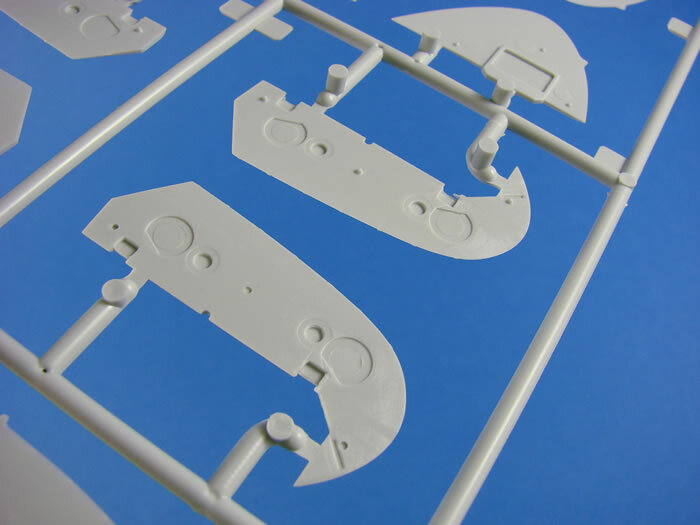 Printing is nice and solid, with authentic colour and minimal carrier film. 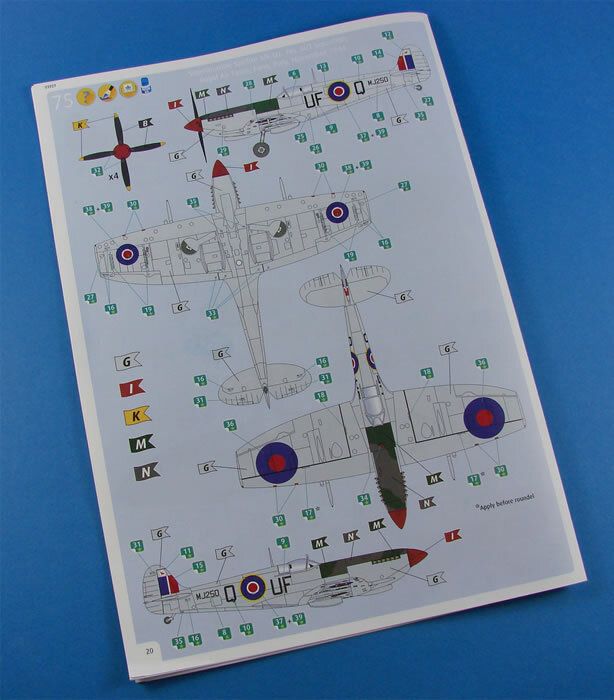 As well as the serials, codes and national markings, stencils are also included, as is a two-part instrument panel decal, but unless you have gallons of Solvaset or Mr Mark Setter, I would ignore this, or at the very least punch the instruments from the main decal, or use Airscale for the instrument panel. I could moan about this and that, and indeed I have listed the things I don’t particularly like, or those that could have been better. I’ve also tempered the negative aspects with notes to say how these issues may be overcome. As a reviewer, I feel this it the best approach. However, I must consider the price point of this release. 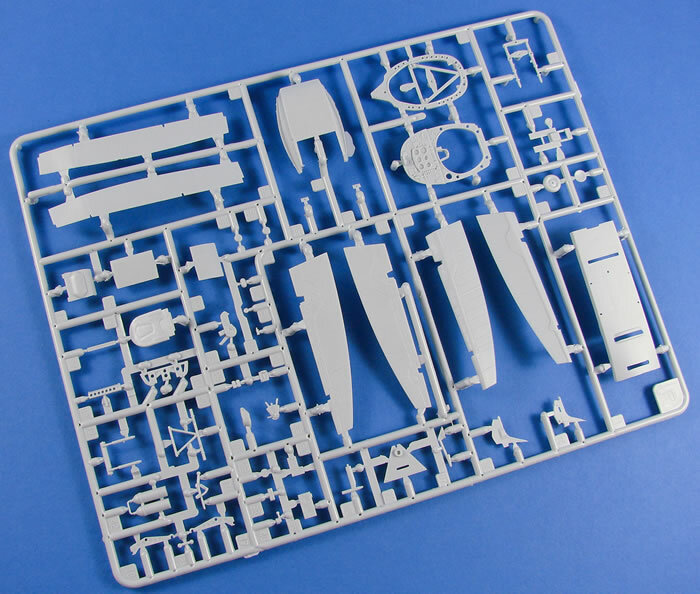 It’s roughly a third that of Tamiya’s Mk.IX kit. 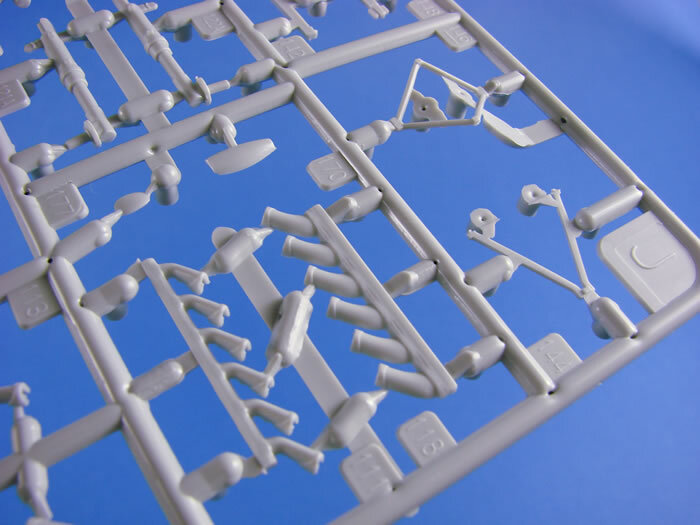 Of course, costs increase if you start to add any subsequent detail sets. 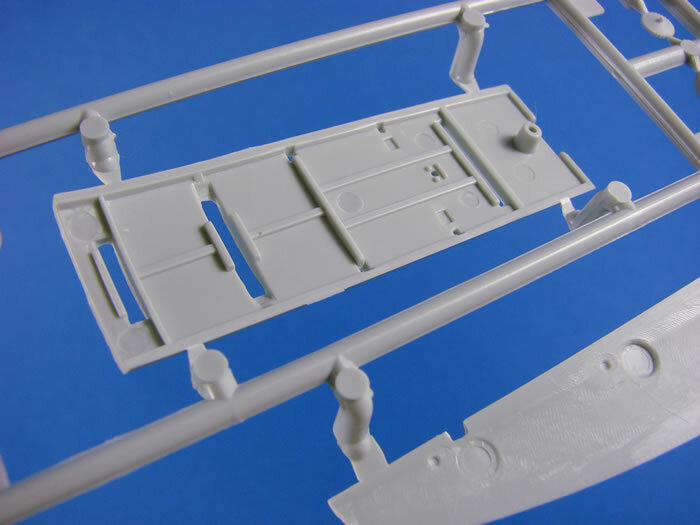 A minimum of new wheels, interior set and wheel bay set will add around another £35 to that cost. 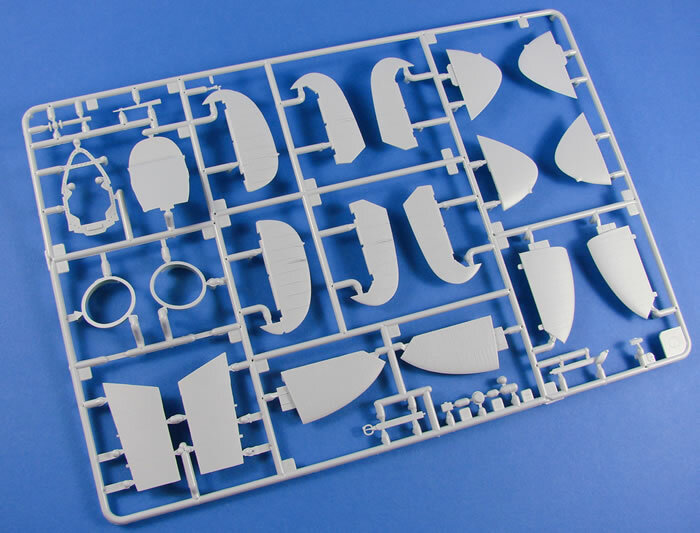 It’s a juggling act, but if you are happy to do some of the extra work yourself, or you simply want a nice looking Mk.IX out of the box, then this kit will more that suffice whilst providing some nice detail and what appears to be a model with accurate lines. 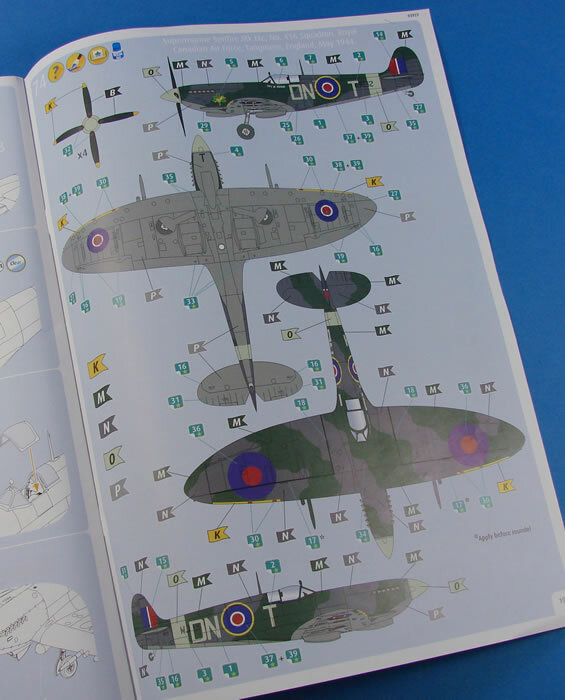 If you’d like to see how I tackled the Mk.IIa with tips that are pertinent to this release, then check out the ‘How to Build’ book from Doolittle Media.